Through time and space, I arrive anxious and uncertain. I am in a dark place, isolated by my own doing. I controlled the launch. I selected the destination. Fear of asphyxiation lies right outside the comfort of my shuttle. What if I’m not ready? What if I’m not good enough? Often times, this is what self questioning and depreciation can feel like. We retreat to the darkest places of our mind, only to be met by irrational fears and a contorted view of our reality. We may not travel to Mars but these thoughts certainly can make us feel hundreds of millions of miles from anyone who can help or understand. The same two questions presented prior to any kind of major change or transition in our lives. These questions, have an answer. You were born for this. I step out on to the surface of the foreign planet. The sun, warming my suit and finally reaching this side of Mars. I grow more confident with each motion forward. I forge a new path in a strange place leaving behind the comfort of my ship. Does the road wind up-hill all the way? Yes, to the very end. Will the day’s journey take the whole long day? From morn to night, my friend. But is there for the night a resting-place? A roof for when the slow dark hours begin. May not the darkness hide it from my face? You cannot miss that inn. Shall I meet other wayfarers at night? Those who have gone before. Then must I knock, or call when just in sight? They will not keep you standing at that door. Shall I find comfort, travel-sore and weak? Of labour you shall find the sum. Will there be beds for me and all who seek? Yea, beds for all who come. As the old adage goes, we don’t know unless we try. Words of change fill and circle my mind like wind trapped in a bottle. The journey will not be easy. The answers we seek may not always be clear. But we must begin if we wish to find our way. Indecision and complacency leave us stranded in the recess of our minds, on the cold side of distant planets. Begin today, and do it with gratitude for what got you here. Check out my first blog 25 Things I’m Grateful For (#1) to know why I started writing about gratitude and why I want you to start writing a list of your own. If you’re interested in Guest Blogging for the Gratitude Journal, click (here)! This post is written by Katie Lemons, a wonderful blogger, and creator you can learn more about at (Hot & Sour). Katie was recognized as a recipient of Amazon’s Top 35 Family Lifestyle blogs. I am a woman. I am Chinese-American. I am a wife. I am a mother. I am a scientist. I am a writer. I am all of these things, yet none of these words can accurately portray my individuality or even begin to explain the essence of who I am. It wasn’t until after my son was born that I truly began to think deeply about my own identity. Before then, I had taken it for granted that I knew who I was, that it wasn’t something that needed to be reflected upon. But after having a child, my identity became inextricably intertwined with the little person who was now a permanent fixture in my life. It was only when I tried to separate myself from the role of motherhood that I realized I didn’t know where to begin. Little by little, I began to realize that my identity is not defined by my roles, my job, or my hobbies. Rather than looking for labels to describe me, I began to look at the various aspects of my life as the things which bring me overwhelming joy. It wasn’t until I began to appreciate and be thankful for the things I have that I was able to shift my focus and live life to the fullest. For more from Katie, check out her blog at Hot & Sour, where she writes about motherhood, marriage, food, culture, and much more. All I can hear are my thoughts. The forest surrounds me on my accent to the top of the mountain. The Earth crunches beneath each step I take, always moving forward. The days come and go. The darkness of each day leaves subtle reminders of its presence and power. I feel lost despite only just beginning. It is a story of overcoming, adventure, and gratitude. I started writing about gratitude because of my depression. I needed to fight my inner darkness one way or another and was desperate for a solution. I saw writing as a positive outlet for my thoughts and feelings and was interested in something different. “Why not start a blog?” I thought. I needed a way to hold myself accountable, and I knew others struggle with mental battles similar to my own. The Gratitude Journal evolved over time. I connected with fellow bloggers and found a new community. I shared posts with friends and families that responded with gratitude lists of their own. I was inspired by loved ones and mentors to keep moving forward. I took The Gratitude Journal with me everywhere I went. Each moment from the start, intertwined with lessons learned and celebrated breaths. I brought The Gratitude Journal with me abroad. I traveled to places I have only dreamed of visiting. Despite my feelings of fear and uncertainty, I framed my experiences with gratitude and appreciation. I sat silently in the black sand and watched the waves leave the shores of Iceland, listening to wind howl and sing. I walked the streets of London, in tune with the beat of the city and the life of the summer sun. I came home energized and eager to start my last year of my Master’s degree. Gratitude, still a present thought, had taken on a new form. Gratitude needed to be more than just a collective appreciation of fond memories and busy days. I had to learn to be grateful for pieces of myself that I had previously scrutinized and detested. Especially, if I was going to have gratitude for everything else. I possessed a renewed thankfulness for my past and present. Although at times I struggled to find balance in my routine and posted less consistently, the skills I learned were ever present. Gratitude is many things. I have learned gratitude starts with a breathe. It is an anchor to the present moment and a tool against the darkness. Its power grows when shared with others and can be communicated in many ways, both big and small. Looking through old entries at quotes, stories, and pictures, I feel joy. In some ways, I never saw the end until it arrived. I was so ingrained in my process that the end result was never what was most important. I am proud I got to celebrate milestones, birthdays, adventures, and friends along the way. Although this chapter may be coming to a close, I will still carry The Gratitude Journal with me on my journey. I stand at my mountain top, my chest rising and shrinking with each breath. The horizon gleams in the distance, each ray of sun reflecting off of rain covered trees. My vision clears and I see new peaks and valleys, invisible from the base of my climb. I stop to rest and reflect but my muscles and bones ache for the familiar and constant pain of the trail. New mountains call out, signal flares of opportunity rocket to the dusk-colored curtain above my head. The stars peek through. A chance to begin again, guided by gratitude. As always, check out my first blog 25 Things I’m Grateful For (#1) to know why I’m writing this list and why I want you to start yours. I’ve struggled with deciding on a topic for my second to last gratitude journal entry. Ideas and thoughts on love, life, and gratitude seem to just be more of the same of what I’ve written in my previous 363 posts. Work hard to make something as meaningful and beautiful as you can. And when you’re done, pack it in and know it was all temporary. You have to remember that. It’s all temporary. The quote has stuck with me over the last couple of days. This same idea was what made me fall in love with books like Tuesday’s With Morrie and Walking To Listen. Both protagonists had incredible adventures full of important learning, only to end due to eventuality. This to me is what makes gratitude so important. The thing is, life goes on and the world keeps turning even when we aren’t ready. Change is always happening and it is gratitude that keeps us grounded. As I draw closer to finishing my Master’s degree and plunge into uncertainty, I remind myself it’s all part of the process. I learned that this summer as well when I misfiled my VISA paperwork. The experience I was trying so desperately hard to hold on to ended. It was up to me in that moment to make a choice, a choice to carry on. Nothing is meant to last forever. Because of that fact, I know gratitude becomes more important. I have learned a lot by posting and reflecting daily on what I’m thankful for. The writing process itself has been both fun and cathartic. As I enter into a new phase of my life, I have accepted the things I cannot change. I know I have done everything I can to prepare for the future and I have to trust the rest will figure itself out. I’m grateful for the people who have supported me and helped me get here. I’m grateful for the experiences I’ve had and the love I’ve shared. The Gratitude Journal has been a joy to write but I’m excited for what comes next. I’m eager to take on new challenges and set new goals. The sun will rise on a new day with untold experiences and opportunities. It is up to us to make the most of it while we can. Featured image coming home from Cambodia. I shouldn’t have jumped in this deep I tell myself. My chest shoots with pain as the surrounding jellyfish welcome me to the ocean. I can hardly move. I’m gasping for air, precious air. I’m only inches from the surface. I can see the light reflect through the barrier that lay between me and living. I pull myself up with a single arm, the other clutching my abdomen from the pain. I swallow as much air as I have water. My legs growing tired as I tread water at a frantic and erratic rhythm. What happened next occurred within an instant. My dad jumped right in and helped me swim to shore. I had barely screamed, I couldn’t even muster a sound of survival. He saved me then as he has many times since. The hard truth is that gratitude didn’t stop me from drowning, people did. After almost a year or gratitude blogging, I’ve struggled with the concept. Part of me feels like this blog has simply been an expression of my privilege, boasted for everyone over the World Wide Web. Every day I think through these things I have and get to do that others can’t because of their background or adversities. Maybe the real healing power of gratitude exists in the people we connect with. Maybe gratitude shouldn’t be about us at all. What good is gratitude when you’re suffering, drowning? Everything can be taken from a man but one thing: the last of the human freedoms—to choose one’s attitude in any given set of circumstances, to choose one’s own way. Gratitude may not have pulled me from the water but it certainly has helped in other ways. That summer I was literally and physically drowning but I’ve felt like that at other parts of my life, hundreds of miles from the ocean. Gratitude has helped me get through my darkest thoughts and hardest days. Viktor Frankl as many of you know is one of my favorite authors. He is a Holocaust survivor and an inspiration to purpose-seekers and meaning-makers every where. Our issues do not compare and I will not relate his experiences with my own. His message is what I ultimately want to focus on. Gratitude, as well as our outlook on life, is a choice we make. Even on our toughest days, finding something to be grateful for can be a powerful anchor. Welcome! You’ve found this page at an opportune time. You see, December 2017 I made a pledge to write 365 lists of gratitude. In 25 Things I’m Grateful For (#1), I embarked on a journey dedicated to appreciating what I had and how I felt. For a time, I kept to writing every day. I made sure my list was posted no matter the time of day or amount of energy I possessed. That was a mistake. Writing your daily gratitude is meant to be fun and reflective. You may want to share your writing with someone else. You may even ask for help forming your list of 25 things (trust me, I know I did). Whatever your motivation is to write and share gratitude, you have come to the right place!Here are some helpful tips to getting started. the quality of being thankful; readiness to show appreciation for and to return kindness. A readiness to show appreciation and the return of kindness. Maybe your list will be given to a friend or loved one. Maybe the gratitude is a reflection of your own process. Whatever your intention, we know demonstrating gratitude is important. While writing you’ll find sharing gratitude to be cathartic and powerful. Again, this process is a return of kindness. A simple thank you extended back to the Universe and its inhabitants. Make sure you are in a good space. Most times, I write laying in bed surrounded by fluffy pillows and warm blankets. My cat Ned, also tends to join me from time to time which doesn’t hurt either. This may look different for you. Maybe you have a favorite tree you like to sit under or a hidden bench along a trail. Wherever you may go to sit and reflect, play some good tunes, relax, and enjoy the process. This is the easy part. Whether you are reflecting on your day or your past week, what stands out? What were the times that made you feel happy or supported? Who was there? What sounds did you hear? How did it/they help you reach the present moment? Your list may take on a new shape from here. Our list may simply include the things we have but it can also include who we are. What about yourself are you grateful for? Your curly hair? Your summertime freckles? When we have gratitude for the things that cannot change, we have not only accepted who we are but we have an appreciation for the present moment. Each breathe, devoted to helping us stay connected to the moment we’re in and each word signifying a thankfulness for something greater. Ask yourself some of these questions while you’re writing and you’ll have your list in no time. This part is important. You’ve successfully completed your list and you spent meaningful time reflecting on how much you love peanut butter (I do it all the time). Sharing gratitude may not be for everyone. Sometimes our list is just for us and that’s okay! Motivation for sharing gratitude can look different for people. Maybe sharing gratitude is your way of inspiring others. Maybe someone you care about had a tough day and you want to remind them how special they are. Whatever your reason for sharing, you have the ability to start a chain reaction. By sharing gratitude, we have the ability to create change. Who knows what would happen if we were all a little more thankful for the people we share our gratitude with. This community post was written by Julie Van. A published writer in the Seattle Times, an exceptionally talented poet, and a long time supporter of The Gratitude Journal. I am constantly reminded of two important facts: change will happen and growth is a choice. The uncertainty and surprises of life often converge into a sweet whirlwind of learning. And when I think I have things figured out, I am humbled by all that I do not know. I’ve also learned to not be afraid of what I do not know. The turns of our lives is a result of choice and decisions made. What we choose to do is not only a reflection of ourselves and our values, but the circumstances that have pulled us to the moment. Each choice then weaves into the larger fabric of who we are – and also who we wish to be. The challenge with choice is the courage needed to make a decision. How do we continue to nurture and care for that seed of confidence that is within us all? Especially on days when it feels as if every movement is a constant wallow through doubt and hesitation. We remember to look inwards and return to ourselves. We remind ourselves of the strength within and look at our values as a guide. And sometimes we look outwards. During times when I feel myself loosing control, I feel myself pulled tighter to the kind universe and I know that I will be okay. Whatever we decide to do, we trust ourselves to make the right choice and remain grateful for the chance. Suddenly a bottle flies from around the corner, kicked by the boy and his sister. The two in hot pursuit of the empty bottle to pass the time. Lost in their game, joy permeates the poverty-stricken village the children are growing up in. Weaving through the crowded bazaar, the boy and girl lost themselves in a game rather than the people surrounding them. The bottle falls perfectly in front of the boy and he strikes the plastic container with all his might. THUMP. The bottle launches off the boy’s foot, soaring, crashing down in the nearby alleyway. The girl looks at her brother disapprovingly. Before the girl has a chance to scold her brother, he is off to retrieve the bottle. The boy finds his toy in front of an old man with a familiar face. The boy reaches for the bottle when suddenly the man with the familiar face speaks. The boy, curious, nods and grips his bottle tight to avoid giving up his treasure as payment for the future. The old man clears his throat and sits upright. The boy sees the man with a familiar face again but this time what lies under his hood. The boy sees each crease and winkle carved into the man with a familiar face. He is tan and frail but the boy stands unafraid. The man with a familiar face holds out his fist, enclosed with a gift for the brave boy who seeks the answers to the future. Reaching for his prize. The boy steps closer to the old man. The boy again steps closer to the old man. The boy, entranced, ready to accept the would-be token from the man with a familiar face stops to pause. The boy takes a step back and refocuses his gaze, moving now from the outstretched hand to the hood of the old man. The man with a familiar face again speaks. The wind blows, rustling the hood of the man with the familiar face. The boy now sees the piercing ocean blue eyes of the old man. Full of warmth, the boy remains motionless, breathing. The boy stretches out his hand to receive his gift and learn his fate. The man with a familiar face smiles. The wind picks up and the old man vanishes into the air from under his hood, leaving behind the boy and his belongings. The boy looks around, in his left hand the bottle him and his sister were playing with. In his right hand, the key the man with a familiar face gave him. The boy places the key in his left shirt pocket and returns to his sister with the bottle. The children resume playing and laughing together as if nothing had happened. The boy would always remember the day he got the key to his destiny. The man with a familiar face exists in all of our lives but takes on different shapes and forms. We will encounter face the fears of the unknown, the challenges of comfort and complacency, and the ultimate realization that everything ends and life is impermanent. The man also takes shape in other ways. We will find the real treasures of life after taking a breath, patient. Change is all around us and can lead to growth and learning if we choose to embrace it. Love exists in all things and gratitude can be the key that unlocks it. Featured image from Iceland, a crossroad in my own life. Over the past year of writing daily gratitude, I have found it’s not always easy. Sometimes I struggle because I’m unwilling to accept change or look at something from a different perspective. This is where we stay stagnant. Immovable in our conviction, time and adversity force our hand to discover new solutions. More than a year has passed since I began writing about gratitude and there have been many lessons learned along the way. I traveled in the summer only to be brought home and sent back. I returned to UMass with hopes of change and found myself in routine. We are never done learning. Life is full of adversity and we find it in the most unexpected of places sometimes. It is the act of overcoming that teaches us about ourselves. We learn these lessons when we’re ready and sometimes when we’re not. Whether we ask for help or succeed independently, know that we have the opportunity to grow every day. Quickly pacing. Left foot, right foot, left foot, right foot. Anxious. I found myself on the platform next to the train tracks. I memorized each crevice in the ground as I tried to work through my panic. The music in my headphones would not drown out my torturous thoughts. I trapped myself in my mind, determined to make myself feel awful in the process. I have to stop, I told myself. My feet kept moving. Just talk to someone, you’ll feel better. I was not very convincing. The platform came to life as the scheduled train began to approach. I calmed down for the sake of my own embarrassment and took a seat on an empty bench. A deep breath in and a deep breath out. I had to do something. The incessant pacing was not helping and I was not about to spend my entire day anxiously walking in circles. I went back inside and cleared a space on my desk in my room. I unearthed a journal given to me and stared at the blank pages. I had used the journal a handful of times prior for half-baked thoughts and nonsensical ideas. I tore out the used pages and told myself I was starting fresh. I began to write. At first, I was unsure who to address. Was I writing to myself in the future if I decided to read the entry again? Was I writing to the people I needed help from? My writing became a stream of consciousness. It became a brain dump onto the empty white pages that sat and stared back at me. I tried to write as quickly as the thoughts would enter my head. I journaled out of need. I wrote down the words that would acknowledge my feelings and I felt better. Writing didn’t become a habit right away for me and it is still something I have to make time for. Writing in my journal and writing about gratitude bring me clarity. A daily journal and a daily blog to remind me of the treasures worth remembering. Not every day has been a miracle, far from it. The fact of the matter is, we must continue. We can stop at any time, breathe, and do what we must to go on living. I need help to get published! 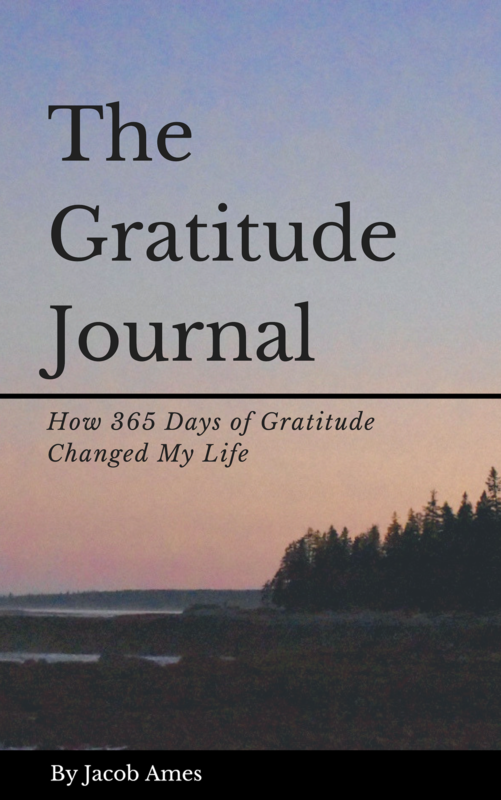 The Gratitude Journal is a personal blog meant to inspire. Donate to help generate more content and posts on gratitude, life, and positivity. With your contribution, I can hopefully publish and bind my blog into a real book. Follow the blog for exclusive information on original book copies and production. Send it with your friends and together let's share gratitude. "I was born to reach out and inspire."